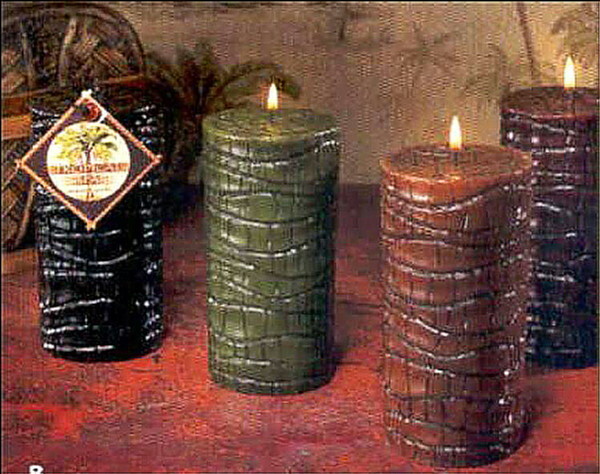 Candles with a little difference..
All of our candles were manufactured by the Lava Candle Company, formally a manufacturer of unique candles. 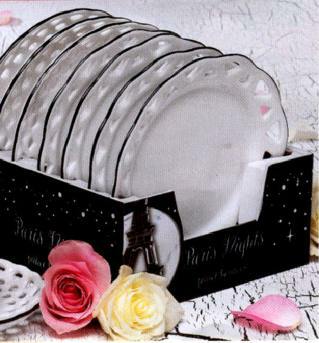 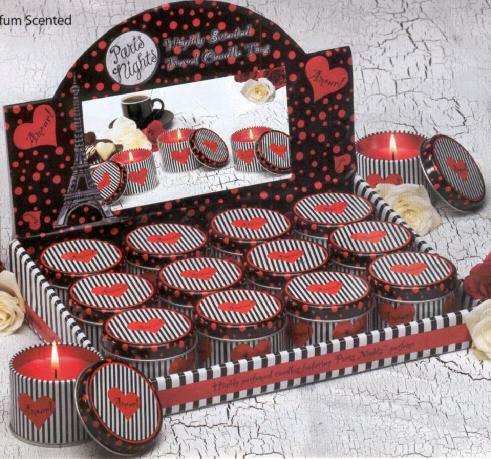 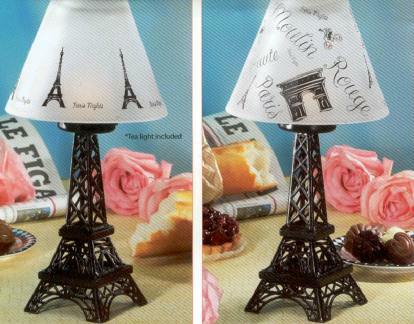 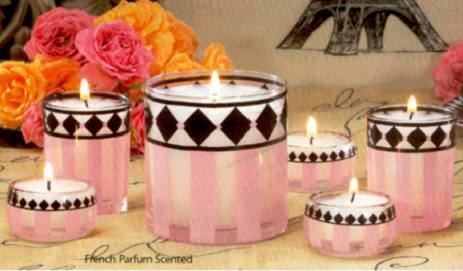 We have a large inventory of these special candles although many are in limited supply. 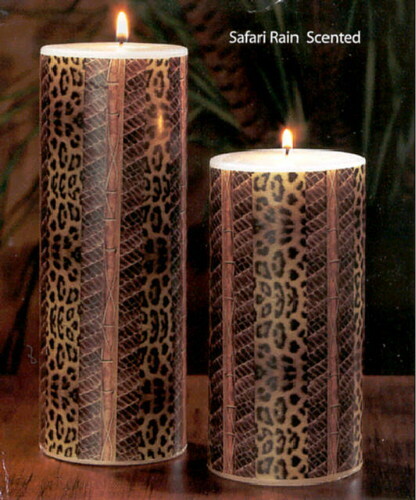 These decorative Serengeti Skin prints add instant allure add a luxurious and dramatic touch to any home decor. 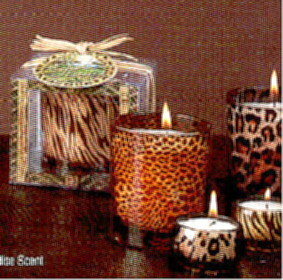 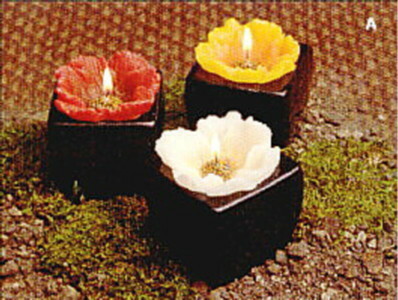 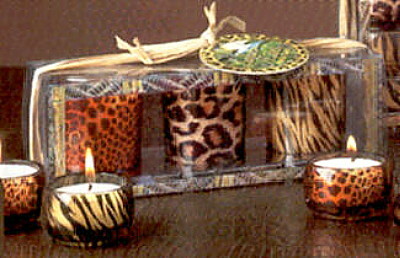 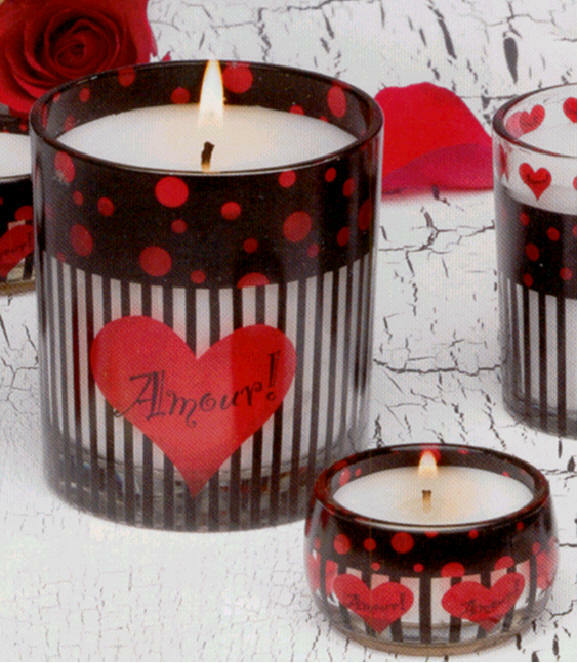 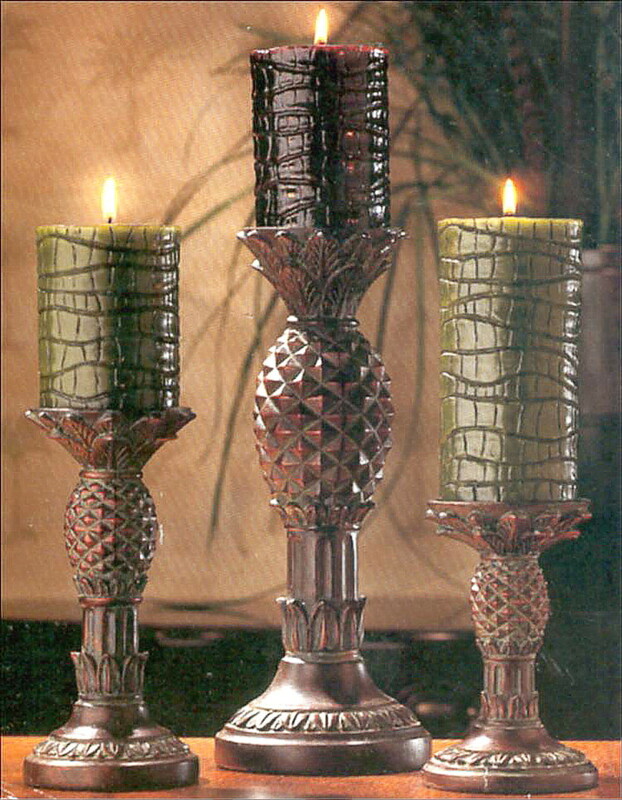 Each candle holder is printed glass and has a gentle Safari Rain scent. 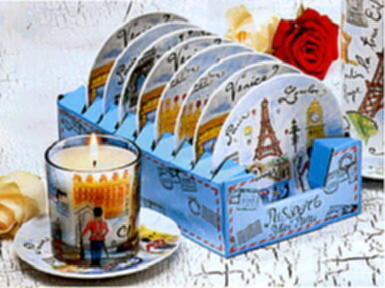 A limited number of matching small (4"), large (7"), or rectangular (9" x 6") plates are available. 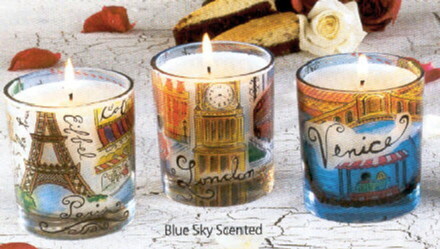 These have been discontinued and only a few remain. 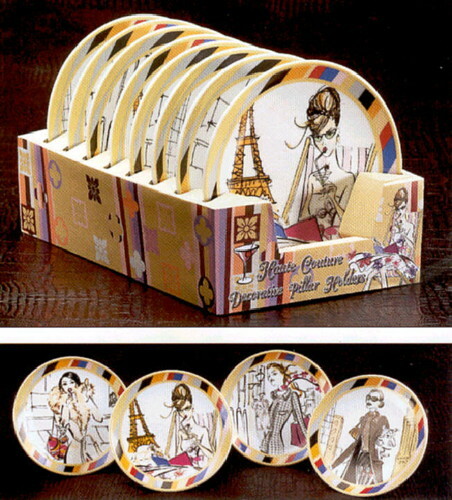 The plates have a multitude of uses! 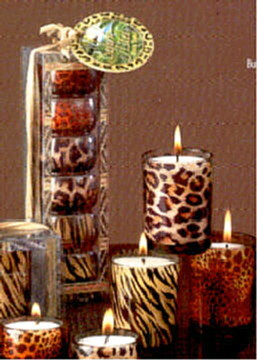 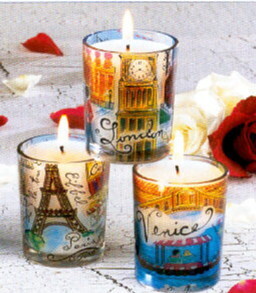 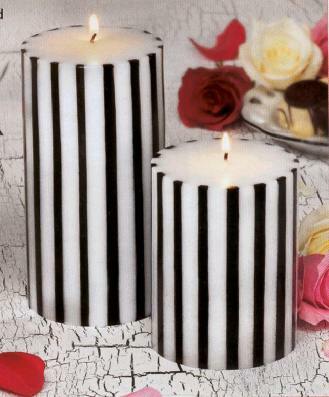 Mix or match with all candle styles. 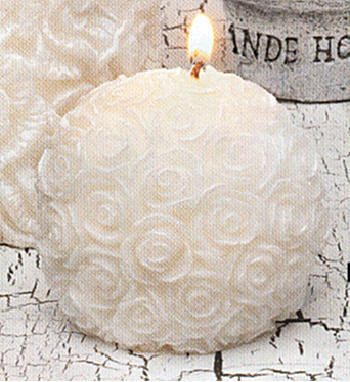 5" diameter - $4.45 each. 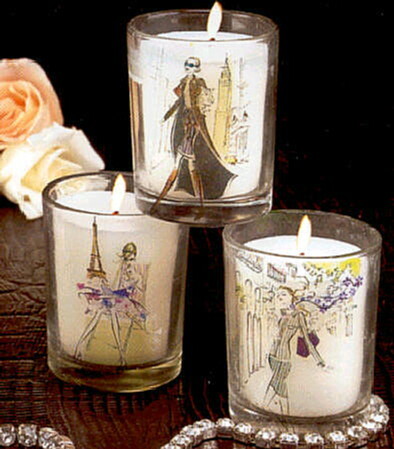 For more candles, click here!